I have always had a great love for exercise and fitness in general, but previous to my course with HFE I did not have any other fitness qualifications. I trained as a dancer so I gained various experience and knowledge of exercise/fitness and Anatomy and Physiology during that, but nothing that stood as a qualification in its own right. I have also completed various Zumba certifications. 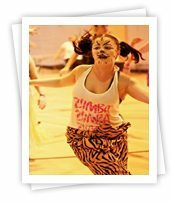 With my dance training and experiences of providing community Zumba classes I felt a Level 2 Exercise To Music qualification would really enhance the quality of my instructing and also provide me with a greater scope for employment opportunities and training with other studio based exercise disciplines. I feel that the theory elements of the course are of paramount importance for any instructor in order to deliver quality assured and safe classes for participants of all fitness levels and abilities. My friend recommended HFE to me as she was also studying her Level 2 Exercise To Music with HFE. I called the number she gave my and by the afternoon I had all the information I needed and was 100% confident in my choice to study with HFE. I enjoyed all elements of the course for different reasons. The training weekends were great for meeting other like-minded people. I also enjoyed all the practical elements of the weekends and these were the areas I felt most confident with. I feel I am able to make use of everything I learned on the weekends. I also enjoyed all of the theory elements as it was new to me and I really valued the importance of this as and instructor working with members of the public. I called the number she gave my and by the afternoon I had all the information I needed and was 100% confident in my choice to study with HFE. I found the theory exams challenging. I did a lot of revision and practice assessments in preparation but in general I am quite fearful of exam based learning and the exam setting. Although this was difficult I did feel well revised and prepared for the exams and the online mock assessments provided by HFE were a fantastic revision tool. I thought the teaching delivered on the course was fantastic! From the tutorial phone calls to the teaching on the training weekends- I thought the quality was excellent and I felt prepared and confident in all areas of my assessments. The assessment weekend was actually a great deal of fun, a word you wouldn’t necessarily associate with exams and assessments. The experience and background knowledge of the tutors proved invaluable to me as a student, as they were able to effectively answer and deal with all of my queries, questions and problems. This was of great reassurance and provided me with confidence and self-belief in passing the course. My tutor was a great base of support to me. I was pregnant during my course and my due date was 3 weeks after my planned assessment weekend. I went into labour early resulting in me missing that weekend but my tutor was fantastic in resolving this problem. I could call and email my tutor with any questions/problems (which I did a lot) and I didn’t feel like I was an inconvenience, regardless of how ‘silly’ I felt my question was, my tutor listened and did everything he could to support me. The student manuals were brilliant! They were clear, easy to understand and in a friendly language ensuring that I was able to communicate and transfer the information/learning into practice. Everything I needed for both the practical and theory elements was in the manuals, which meant that I didn’t need much else at all to support my studies. The music CD was also great. The music was current and well structured making it easy to use and implement for the practical learning and assessments. I am a dance instructor within the formal education setting, working with children and young people aged 4-19. I am also a Zumba instructor, teaching various weekly community based classes. I have always had a great passion for fitness and exercise and I feel my recent training will provide me with great opportunity to develop this interest into a career. I would like to gain some experience of working within the fitness industry including gyms and health/fitness centres teaching various studio based exercise classes. I would also like to further progress my knowledge and fitness qualifications by taking the Level 2 Gym Instructing qualification and the Level 3 Mat Pilates qualification, amongst others.